Get back your lost files, emails, and any other data from laptop, PC, SSD, flash drive, memory card, and other external storage. Recover deleted photos, videos, contacts, messages, calendar, and call history directly from iPhone and iPad. Repair corrupt and damaged videos shot with DSLR, drone, digicam, surveillance camera, and mobile phone. Repair corrupt EDB files and restore the mailboxes directly to Live Exchange or Office 365. Convert inaccessible OST file and all the components into PST which can be imported in Outlook. Repair corrupt PST & recover all the components - emails, contacts, calendars - in a new PST. Repair corrupt SQL database and recover all the components – tables, triggers, and indexes, etc. Repair corrupt PST & extract all the mailbox components - emails, contacts, calendars etc. - in a new PST. Repair corrupt EDB files and export the restored files - emails, contacts, calendars, etc. - to Live Exchange. Convert online and offline EDB files into PST files. Extract single or multiple mailboxes. Convert inaccessible OST file along with the entire mailbox - emails, contacts, & calendars, etc. - into PST. Repair corrupt .mdf files and extract all the database components – tables, queries, stored procedures, etc. Repair corrupt Excel files & recover all the elements - tables, charts, & cell comments - in a new Excel file. Repair corrupt Access files and recover all the records and objects - tables, queries, etc. - in a new database. Repair corrupt QuickBooks data and recover all the elements - company, customer & vendor. Recover the data lost from RAID Servers, External and Internal Drives, Optical Media, and bad sectors. Recover the data lost from Mac SSDs, Flash Drives, Time Machines LaCie, and Thunderbolt, etc. Recover documents, multimedia files, and database files, etc.  lost from any virtual machine. Permanently erase all data from up to 32 drives at once. Works on all PCs, laptops, and external storage. Permanently wipe files & folders from any PC or storage. Erase all traces of apps and Internet activity. Permanently erase the selected files and folders or the entire data from Mac OS X based storage drives. 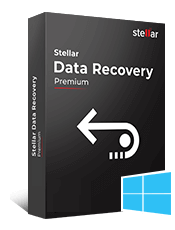 "Stellar Data Recovery is impressive when it comes to any type of data recovery, the last experience made me go for Stellar once again to convert lost OST file to PST Using Stellar Converter for OST. I personally recommend this." Global data care expert Stellar has conducted & announced findings of world's largest known study of residual data in used devices. Stellar conducted world's largest known lab study of 311 second hand devices to find that a majority of these devices had sensitive residual data which posed high-impact risks of data breach.